596 Acres is ready to do some day drinking and dancing with y’all so come thru and bring a friend! Proceeds from the event will go towards 596 Acres! Thank you Ode to Babel for partnering with us and providing the space for our turn up ! We will have a signature cocktail and snacks for folks to enjoy along with information on our latest campaign #protectourplaces available for folks in the garden area of the venue! Shout out to DJ E.O. who will be in the building spinning tunes for us to dance and get lit to ! 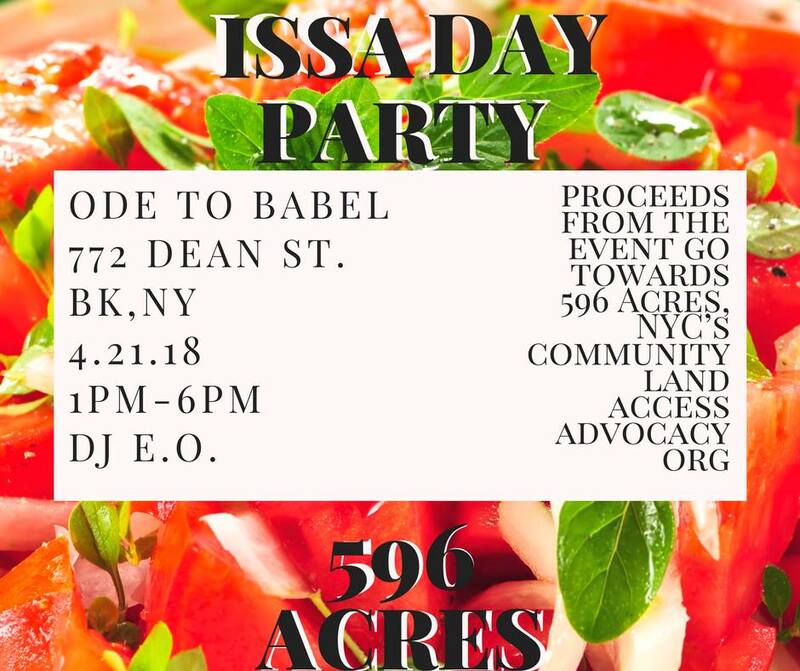 Come thru and invite your friends for an afternoon of day drinking, dancing, and connecting with NYC’s community land access advocacy org. Facebook event here.